Grace and Tom booked me to photograph their wedding at this sensational Cheshire wedding venue after discovering me on The Wedding Industry Awards Directory. I have been a Regional Finalist twice! The very first time we met was at the Abbeywood Estate for their pre-wedding meeting and Engagement Shoot. This was a great opportunity for us to explore the beautifully manicured gardens together and for us to get to know each other. All couples that experience one of my fun Engagement Photo Shoots say how much they enjoyed being photographed by me and how much more relaxed they were on their wedding day as a result. The Abbey wood Estate gardens provide a fantastic backdrop for engagement and wedding photography. 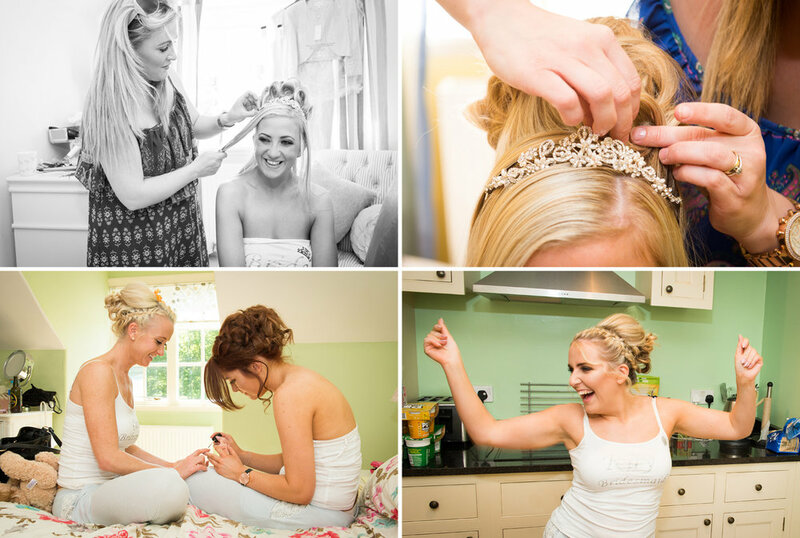 Grace stayed overnight in the Abbeywood Estate Hotel's spacious three bedroom apartment with her ten Bridesmaids! Tom and his Groomsmen prepared themselves for the wedding in an adjacent apartment. I was able to capture the fun and excitement of both the Bride and Groom flitting between rooms. The beautifully light and airy Abbeywood Estate Glasshouse was the perfect wedding reception venue and with Grace and Tom's lovely wedding personal touches. Grace and Tom could not have had better weather for their Abbeywood garden wedding ceremony, the sun shone all day. The wedding register was signed inside the licensed lounge of the Hotel because in England and Wales you can not legally marry in the open air or under a marquee. The superbly kept gardens of the Abbeywood Estate in Cheshire are perfect for wedding photography. These wedding photographs were captured in just 20 minutes! This meant that Grace and Tom had some time to spend mingling with their wedding guests. I always ensure that I work to time and work with wedding venues to ensure that the wedding breakfast is served to time. The Summer sunshine really made Grace and Tom's wedding day a superb day to remember. 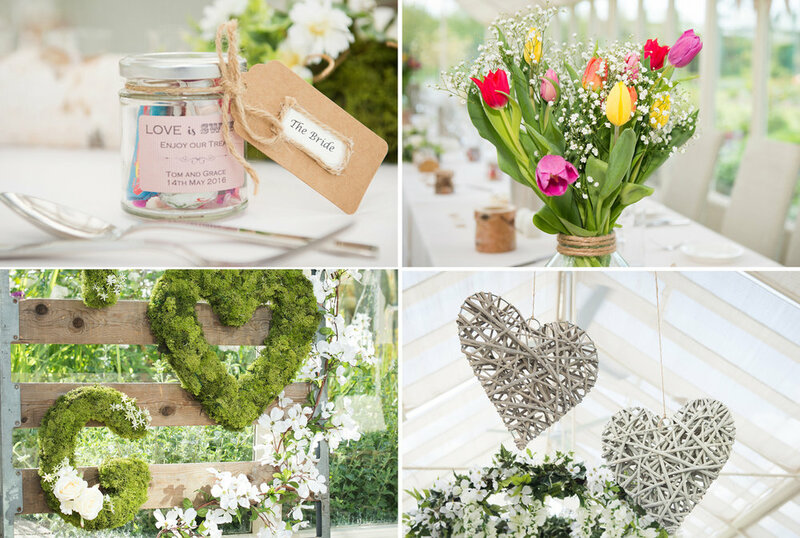 The Abbeywood greenhouse was a great space for their wedding guests to relax and enjoy the wedding celebrations. “We got married in May this year and we absolutely love our photographs. First of all we had a complimentary engagement shoot, David made us feel very comfortable and put us at ease, we were very nervous about getting our pictures taken all day but he made us feel a lot better about it....On the day David was fantastic, we would just forget he was there for the most part and he captured some beautiful moments from our special day. 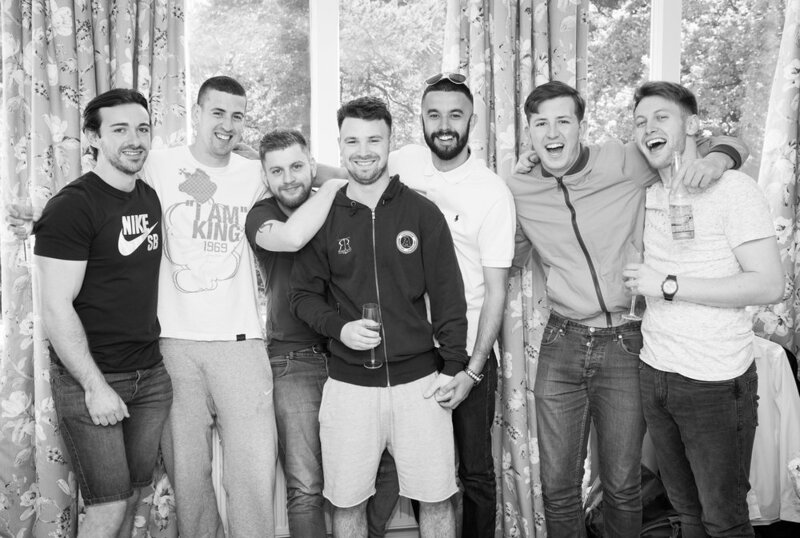 Also he was really quick with group photos and some of the posed ones, which was important to us as we didn't want guests waiting, although they were quick he didn't miss a thing! !” Read Grace's full review here.